Thanks to Alan Good for the information. Also, check out the Irish Examiner for what is definitely the best coverage in the national newspapers on Irish international hockey. 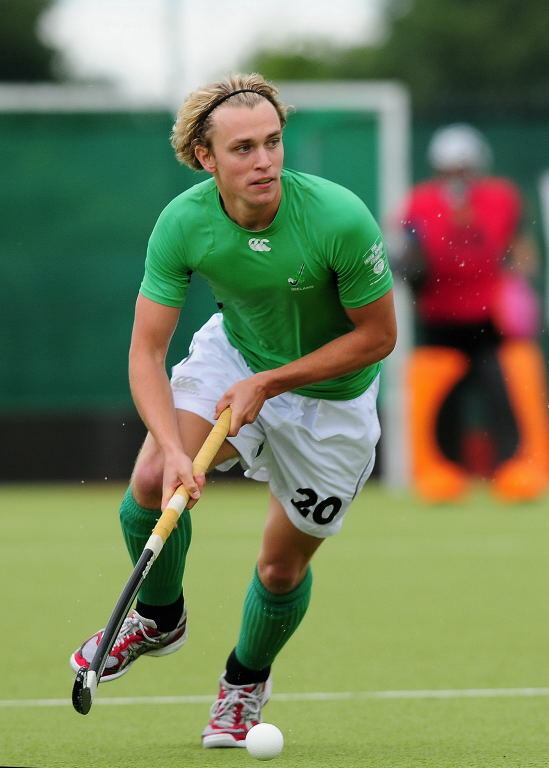 Ireland’s U-21s went unbeaten in both the men’s and women’s Junior Celtic Cups but failed to come home with any silverware as both sides drew with hosts Scotland in Edinburgh, and thus finishing second to the host nation. The women were particularly unlucky losing out on goal-difference with a 1-1 draw in their final encounter with the Scots – adding the result to 2-1 wins over France and Wales. UCC’s Aine Connery made her case for a recall to the full women’s squad with three goals in the tournament and got the side off to the best possible start in the decider. She drove home a penalty corner in just the third minute. But the side were unable to stay in front and once Nikki Kidd had equalised they looked the more likely to win but the irish defence, marshaled by Megan Frazer and Katie Saunderson, ensured the honours were shared. Frazer had scored the winner against Wales – who had taken an early lead on Saturday. Connery provided the equalizer on the stroke of half-time. Goals from Connery and Michelle Harvey were enough to sneak by France. On the men’s side, six full internationals took the field over the weekend including four of the recent Setanta Trophy squad. Alan Sothern continued his red-hot form, banging in two in three but draws against France and Scotland meant the Irish had to settle for second place. Sothern’s goal looked to have been enough for Ireland in the opener, only for Victor Condemine to grab France’s leveler with six minutes remaining. 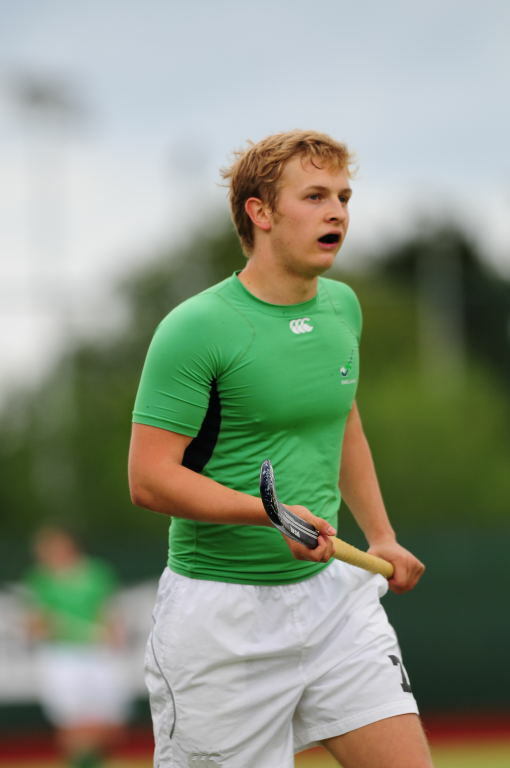 Sothern and his Pembroke team mate Conor Harte scored the goals in the 2-1 win over Wales – Harte returning to competitive hockey for the first time since his ugly injury against Fingal in the Leinster senior cup semi against Fingal. It meant Ireland needed to beat the Scots to claim the title. In a fractious game, littered with cards, the Irish produced a spirited fightback but gave themselves too big a mountain to climb. Ireland were reeling early on when Kenny Bain and Ross Stott netted twice in a minute. Adam Pritchard pulled one back but Philip Rae made it 3-1 with four minutes left to the interval. However, Ireland dominated proceedings after the break, and were back in the game on 55 minutes when Scotland keeper Jamie Cachia floored Mitch Darling in the circle. Paul Gleghorne converted the resultant stroke, and they were level two minutes later when Jason Lynch scored from play to earn a draw. Scotland 3 (K Bain, Y Adams, C Grassick) Wales 0. Scotland 3 (K Bain, R Stott, P Rae). Final standings: 1 Scotland 7pts; 2 Ireland 5 pts; 3 France 4pts; 4 Wales 0 pts. I Walker (GK) (YMCA), S O’Keeffe (GK) (Pembroke Wanderers), A Pritchard ( Cork C of I), C Boyce (Grange), C Harte (Pembroke Wanderers), R Shaw (Glenanne), P Gleghorne (Loughborough Students), S Todd (Mossley), J Lynch (Lisnagarvey), D Ames (Cookstown), S Smyth (Cookstown), M Watt (Grange), M Darling (Three Rock), A Sothern (Pembroke Wanderers), J Bruton (Cork C of I), B McCandless (Banbridge), P Caruth (Annadale). France 1 (L Poulenc) Wales 2 (S Robinson 2). Final standings: 1 Scotland 7 pts; 2 Ireland 7 pts; 3 Wales 3 pts; 4 France 0 pts. V Green (GK) (Victorians), H Stevenson (GK) (Belfast Harlequins), A Connery (UCC), L Colvin (Armagh), R Dallas (Randalstown), K Daly (Catholic Institute), N Evans (Hermes), M Frazer (Ballymoney), M Harvey (Victorians), J Kennedy (Randalstown), E Lucey (Railway Union), K McConnell (Pegasus), E McInerney (Hermes), A O’Flanagan (Hermes), K Saunderson (Randalstown), K Steenson (Armagh), G Watters (Randalstown).